Major League Baseball announced the 2018 Rawlings Gold Glove Award finalists for each position in each league, and two former Snappers are among them. 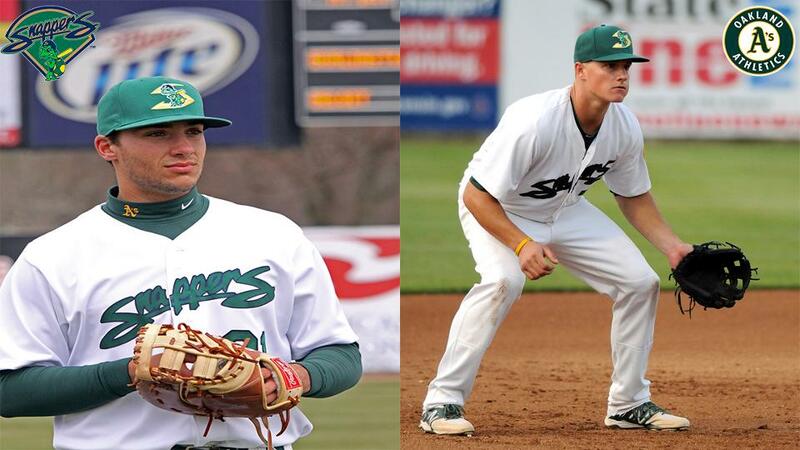 Four Oakland Athletics, including first baseman Matt Olson and third baseman Matt Chapman, have a shot at Gold Gloves in the American League. Olson played at Class A Beloit in 2013, where he slugged 23 home runs and drove in 93 in 134 games. He is still primarily known for his left-handed power bat at the big league level- he hit 24 homers in just 59 games during his rookie year in 2017 and then followed with 29 bombs and 84 RBIs in 2018- but has also proven himself as one of the best defensive first baseman in the game. Appearing in all 162 games for the A's in 2018, Olson posted a sterling .995 fielding percentage over 1403 1/3 innings, committing just seven errors in 1494 chances. He also led all first basemen in baseball with 14 defensive runs saved (DRS). Olson joins the Blue Jays' Justin Smoak and Mitch Moreland of the Red Sox as the three first base candidates in the AL. The primary storyline of Chapman's 2018 was that he had produced arguably his best offensive season as a professional, hitting .278 while swatting 24 home runs. The former first-round pick's defense, which was already considered Gold Glove caliber when he briefly played for the Snappers in 2014, has never been a question, and that has continued into his big league career. Chapman led all of baseball in DRS at any position with 29. His competition includes Houston's Alex Bregman and Jose Ramirez of the Indians. Chapman and Olson each also won Fielding Bible Awards, considered to be the next best defensive award after the Gold Glove, in 2018. Fielding Bible Awards are voted on by a panel of sportswriters each year instead of managers and coaches, as is the case with Gold Gloves. Two other A's were nominated for Gold Glove Awards in 2018. Marcus Semien, who led his position in assists in the AL, joins Andrelton Simmons of Anaheim and the Indians' Francisco Lindor as shortstop candidates. Semien's double-play partner, Jed Lowrie, faces Ian Kinsler of the Red Sox and the Rangers' Rougned Odor as candidates at second base. The Athletics have never had multiple Gold Glove winners in a single season.